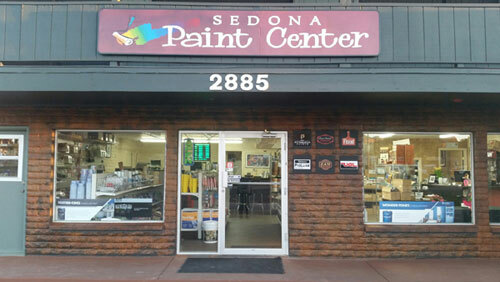 Sedona Paint Cen­ter is an inde­pen­dently locally-​owned paint store that has been serv­ing Sedona and the Verde Val­ley since 2002. Whether you are a con­trac­tor, pro­fes­sional painter, inte­rior designer, DIY expert, archi­tect, or a home­owner, you can depend on Sedona Paint Cen­ter for pre­mium prod­ucts, at every day prices that com­pete with other’s sale prices. Come on over and let us help you find the per­fect color and product. 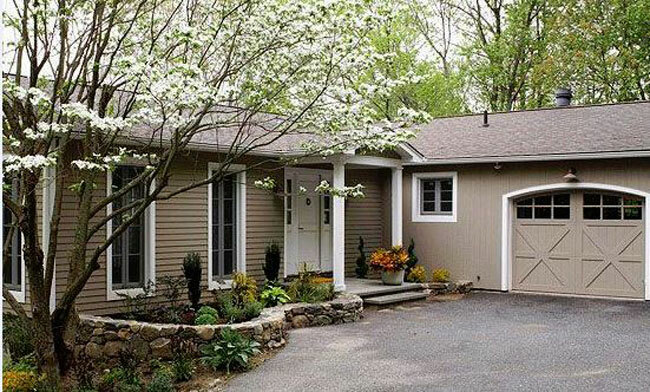 Dis­cover the dif­fer­ence at Sedona Paint Cen­ter — the place to go for a per­fect color match (we can match any color with our paints, stains and other coat­ings); high-​quality prod­ucts that you can trust, and that are great for you and great for the envi­ron­ment; expert advice; friendly and help­ful ser­vice; and free deliv­ery (min. quan­tity required). Sedona Paint Cen­ter is proud to carry a com­pre­hen­sive line of zero-​VOC to low-​VOC/​virtually no odor to low odor paints and stains that are bet­ter for our envi­ron­ment. The paints we carry are for­mu­lated with advanced tech­nol­ogy to pro­vide pre­mium per­for­mance, excel­lent cov­er­age and hide, dura­bil­ity, long-​lasting beauty and a rich­ness to any color. 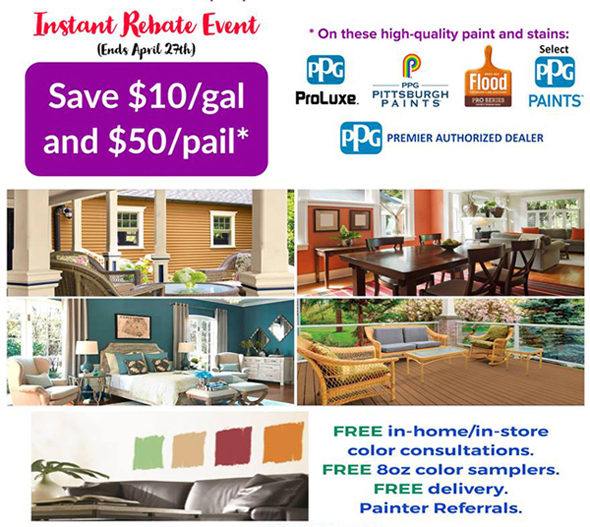 We fea­ture #1 and highly-​rated paints, primers and stains from PPG Pitts­burgh Paints (for­merly Devoe), Dunn-​Edwards, PPG Paints, Flood Pro Series, PPG Pro­Luxe (for­merly Sikkens), Rust-​Oleum, Deft, Penofin, Mod­ern Mas­ters, UGL and ZAR . We carry a wide range of con­crete coat­ings from Ari­zona Poly­mer Floor­ing and TCC­Sales, lac­quers and wood fin­ishes from Lorchem, and high-​quality water­proof roof and deck coat­ings. We are proud to be a PPG Pre­mier Autho­rized Dealer. Our exten­sive selec­tion of sun­dries, tools, sol­vents and spray equip­ment include lines from Crown, DAP, Dunn-​Edwards, Hyde, Inter­tape, 3M, Titan and Gaco sprayers and parts, Tri­maco, and Wooster. For vents, rail­ings and other small areas you wish to paint, we can pro­duce custom-​made aerosol cans for any water-​based and solvent-​based paints to any color of your choosing. Our expert and friendly staff can help you deter­mine the cor­rect prod­ucts for all aspects of your project, as well as find­ing the per­fect solu­tion for your color needs. When it comes to find­ing the per­fect color, we carry 8oz color sam­plers that cov­ers 16 square feet so you can see your col­ors come to life. 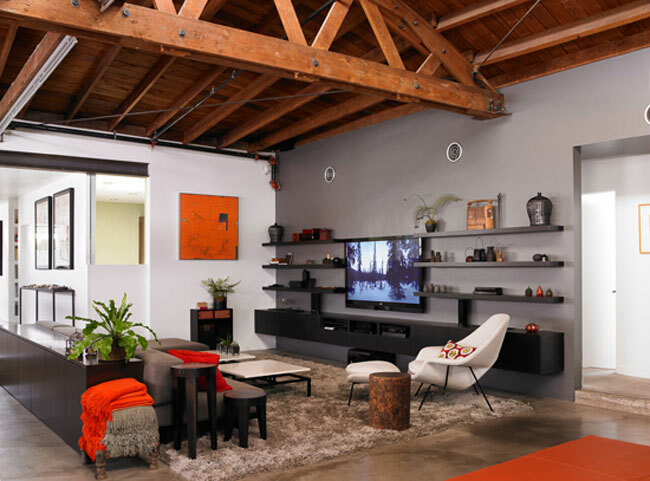 We can tint the tester, or any of our paint and stains, to thou­sands of col­ors, or you can bring in a color swatch that inspires you, and our color spe­cial­ists will be able to match it. For prompt paint and color follow-​up, we record your paint col­ors and formulas. We would like to address the issues of all-​in-​one paint and primers. More often than not, walls do not need to be primed. All of our pre­mium paints are self-​priming, in most sit­u­a­tions. There are cer­tain sit­u­a­tions where a ded­i­cated primer is required, for e.g., new stucco, metal, and wood, and deep col­ors over light walls, and we will always advise you of the cor­rect primer that is needed for your application. 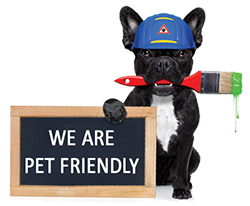 We offer com­ple­men­tary in-​store and at-​home con­sul­ta­tions, pro­vide painter refer­rals (in addi­tion to the list of highly-​recommended licensed painters under the Painter Refer­ral tab), and are more than happy to work with your designer, archi­tect and paint­ing con­trac­tor to ensure that we can meet your paint­ing needs. 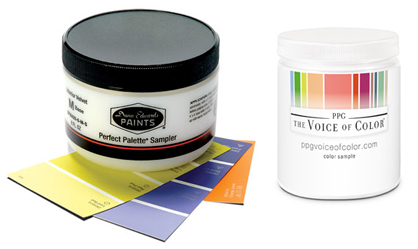 FREE 8oz PAINT SAM­PLERS IN ANY COLOR OF YOUR CHOICE! 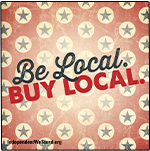 FREE IN-​STORE AND IN-​HOME COLOR CONSULTATIONS. Since 1921, RUST-​OLEUM® has inno­vated qual­ity prod­ucts that repair, pro­tect and beau­tify a wide range of exte­rior and inte­rior sur­faces. Rust-​Oleum has an exten­sive selec­tion of prod­ucts, includ­ing spray and chalk­board paint, roof coat­ings, floor prod­ucts and con­crete coat­ings, primers and more — all with out­stand­ing per­for­mance. They have numer­ous brands under their umbrella, includ­ing Seal-​Krete and Zinsser. We carry only a selec­tion of their coat­ings, but can order any of the prod­ucts in the Rust-​Oleum family. 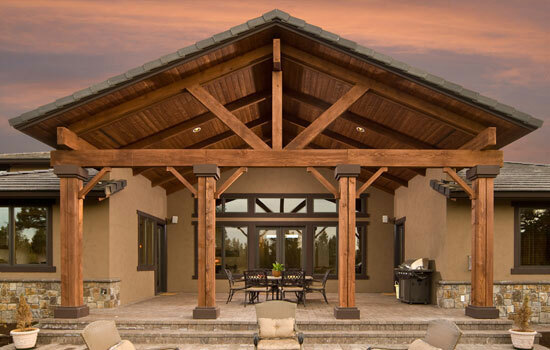 DEFT® wood stains and clear fin­ishes will pro­tect and beau­tify your inte­rior and exte­rior wood sur­faces, includ­ing fur­ni­ture, doors, cab­i­nets, and floors. We can cus­tom match any color with their inte­rior fast dry stain. 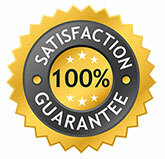 Deft’s qual­ity prod­ucts will make your project eas­ier with results you will be proud of. LORCHEM’s pre-​catalyzed sys­tem includes a new gen­er­a­tion of lac­quer with cut­ting edge pre-​cat tech­nol­ogy to make a prod­uct that sands well, has clar­ity and is resis­tant to yel­low­ing, and pro­vides a high-​quality, smooth and tough finish.